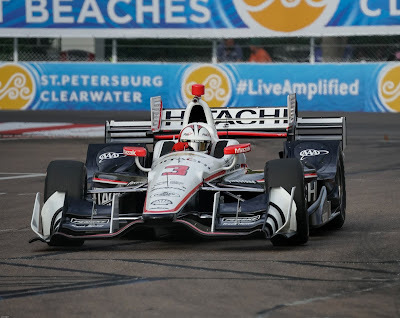 The Indy 500 is one of the most recognized races and sporting events in the world. To be a four time winner of the race puts you in one of the most exclusive clubs in the world- there's only three members: A.J. Foyt, Al Unser Sr. and Rick Mears. Helio Castroneves has an open invitation to join with his three wins. 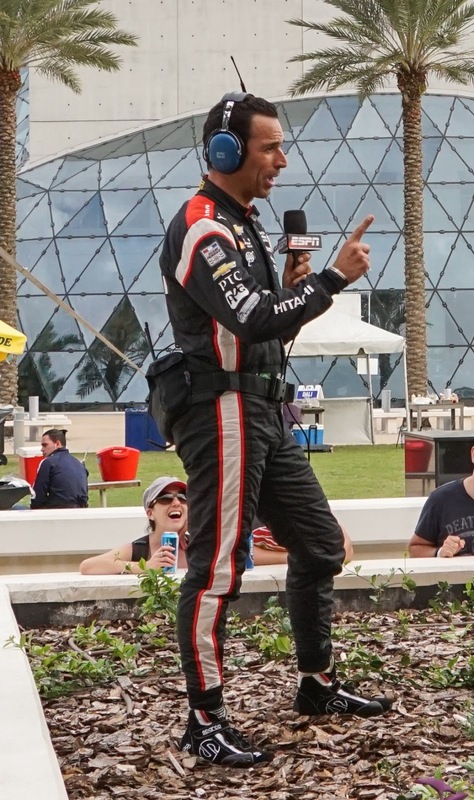 Helio is one of my favorite drivers. He's earned that spot for me as he has such a positive attitude and he's so down to earth. That impression is confirmed by additional observations when interacting with other fans. I've captured a few shots of him at the 2016 and 2017 Indycar race at St. Petersburg Florida shown below exhibiting his captivating smile along with the ability to have fun. 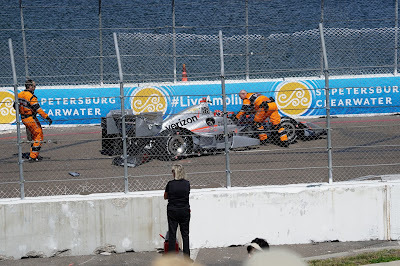 ( See candid picture of him spoofing the team mechanics at the 2016 race in St. Pete.) 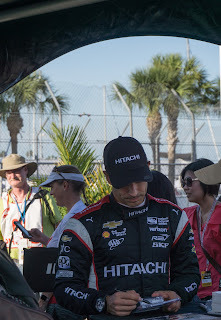 Lastly, I'll finish this post with a story about a conversation I had with him at the autograph session in St. Petersburg back in March that adds to my appreciation for this truly humble driver. 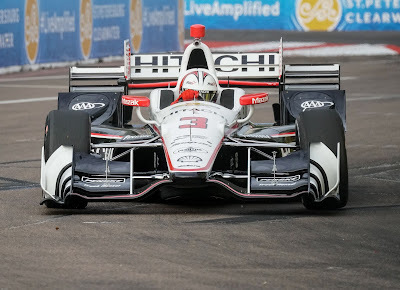 Can He Make Four Indy 500 Wins? I hope he does. He's a class act! So here's my little story. 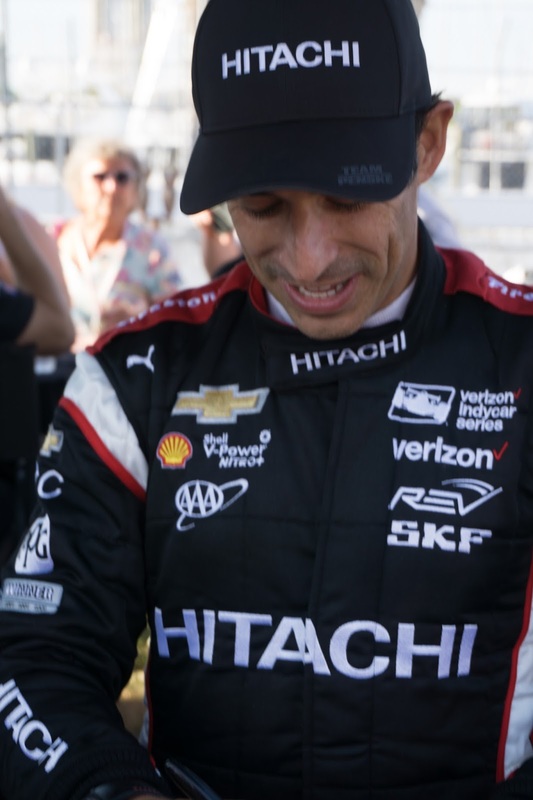 I got in the long line for driver autographs at the 2017 St. Pete Indycar race and had a bunch of 8x10 pictures from the year before of various drivers but I didn't have one of Helio. What can I have him autograph, other than the standard photo card everybody gets? I happened to be wearing a hat that says 'Shift Happens' with a four speed gearshift pattern showing on the front. That's what I'll have him sign. So I get up to his spot under the tent and we exchange the usual quick hello and I hand him my hat. 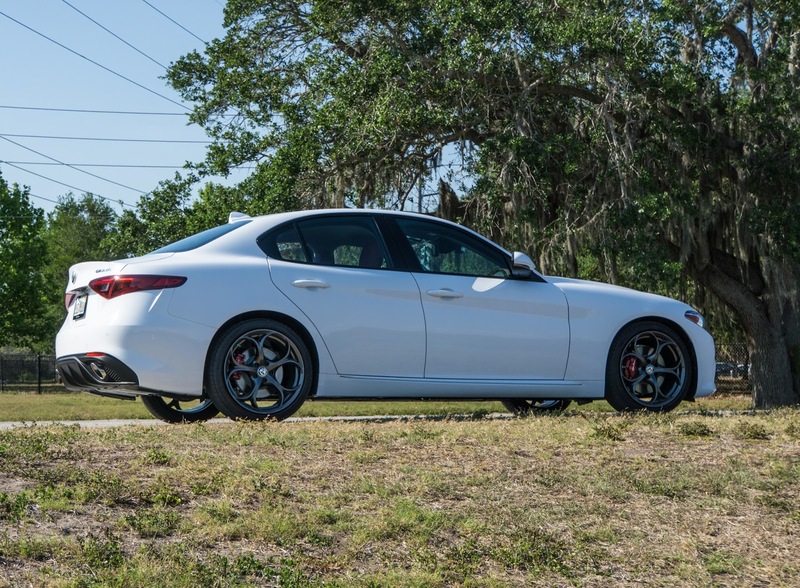 He stops, looks at it and breaks out laughing. 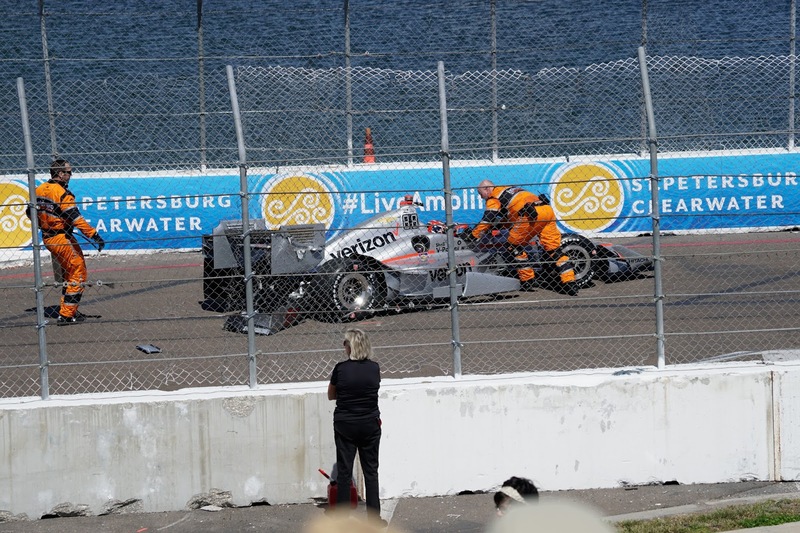 Then he pulls out his cell phone and says 'I have to take a picture of this and send it to Will Power' ( Will Power had crashed in practice the day before and had his car in for repair) He proceeds to take the picture, signs the hat and hands it back and says thank you 'that's cool'. NO I say THAT was cool what just happened! It shows how down to earth he is and how he likes to have fun.